Haven't registered for an official tour of the U.S. Capitol through the Capitol Visitor Center, your Representative or your Senator? There are many highlights on Capitol Tour you can still experience. View the statuary, part of the National Statuary Hall Collection, and the plaster model of the Statue of Freedom in the Capitol Visitor Center’s Emancipation Hall inside the U.S. Capitol Building. Then, explore Exhibition Hall, home to E Pluribus Unum - Out of Many One, the only exhibition in the world dedicated to telling the story of the United States Congress and the U.S. Capitol. Exhibition Hall features original documents and artifacts, videos, touchable models, computer interactives and two small theaters, providing visitors with an in-depth look at how Congress works, the history of the U.S. Capitol and Congress, as well as information on Representatives and Senators. 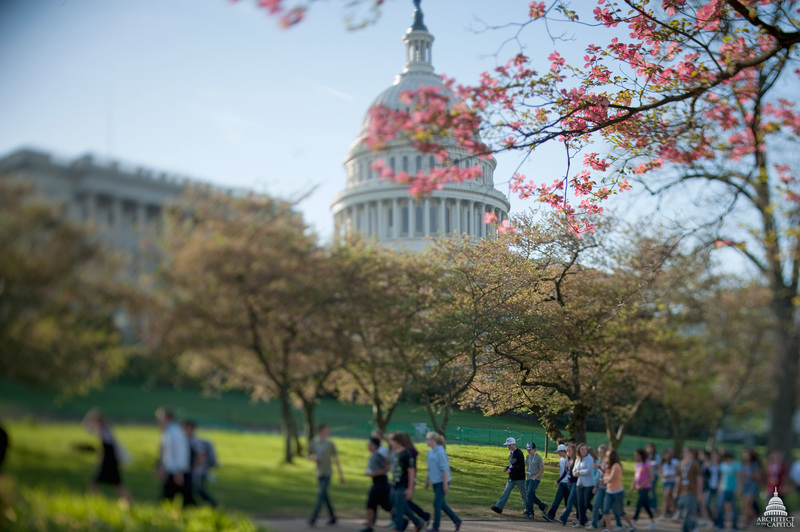 Explore the beauty of the U.S. Capitol Grounds, viewing horticulture, monuments and fountains around the Capitol Building. On the West Front of the U.S. Capitol see the Garfield Monument, then head north to the Peace Monument. On the Senate side of the Capitol Building’s West Front explore the brick Summerhouse designed by landscape architect Frederick Law Olmsted. The West Front Terrace and Fountain also designed by Olmsted make a great next stop that provide wonderful views of the Capitol and National Mall. On the East Front of the U.S. Capitol visitors can see the iconic Supreme Court Building and the breathtaking Library of Congress Thomas Jefferson Building. There are also beautifully landscaped parks to explore featuring fountains on both the House and Senate sides of the U.S. Capitol Grounds. The U.S. Botanic Garden is free and open to the public from 10 a.m. to 5 p.m. daily, including all weekends and holidays. Visitors to the Garden’s Conservatory will see plants from sub-tropical, tropical and arid regions, as well as orchids, medicinal, economic, endangered and Jurassic plants. From late May to mid-October, the Conservatory Terrace features thematic exhibitions. After the Conservatory, visitors are encouraged to explore the National Garden and Bartholdi Park for a walk through beautiful outdoor gardens.